As the commemoration of the beginning of World War I fast approaches we will reflect on the far reaching consequences of the war. Nations were shattered, governments overthrown and millions of people’s lives were changed forever. With such great global cost, the personal impact of war is often brushed over. Yet the history of World War I is in the family stories and memories of thousands of people around the world. 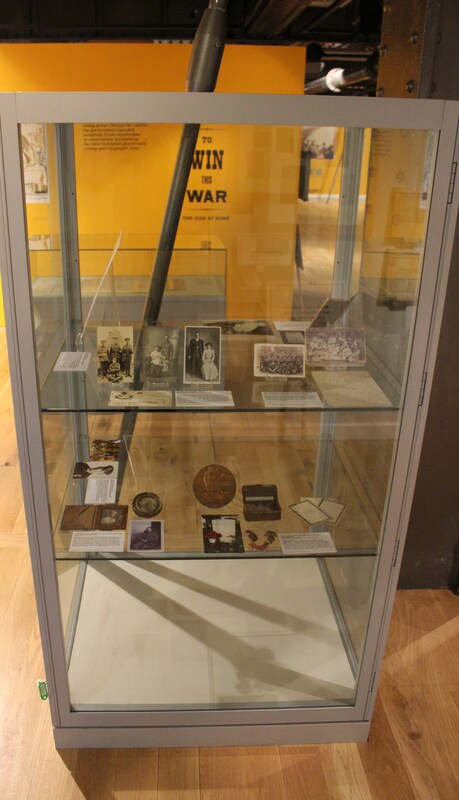 With this in mind we have been asking people to contribute their objects and family memories to our ‘people’s case’ which sits in A Land Fit For Heroes: War and the Working Class 1914-1918 exhibition. So far visitors have contributed several stories of soldiers who fought in the war and the women who anxiously awaited there return. One of those who returned was Sue Watts’ Grandfather Harold William Melville Watts. Harold was born in India to Anglo-Indian parents. 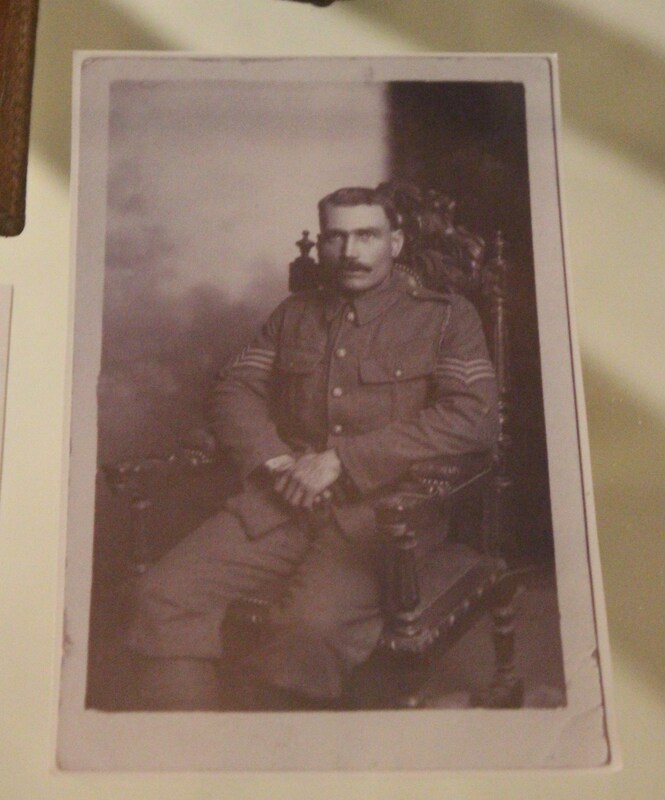 He arrived in England for the first time in 1914 as part of the Cheshire Regiment and while he was stationed in Cheshire he met his wife Amy; he kept a photo of her through the entire war. Although Harold fought in a British regiment many soldiers came from the Commonwealth to fight. The contribution of Commonwealth troops is often neglected in our commemoration of the war, yet by the end of the war the subcontinent supplied 1.4 million men to the war effort which was more than Scotland, Wale and Ireland together. One of those who didn’t return from the war was Martin Faulkner’s Grand-Uncle Thomas Walter Davenport. 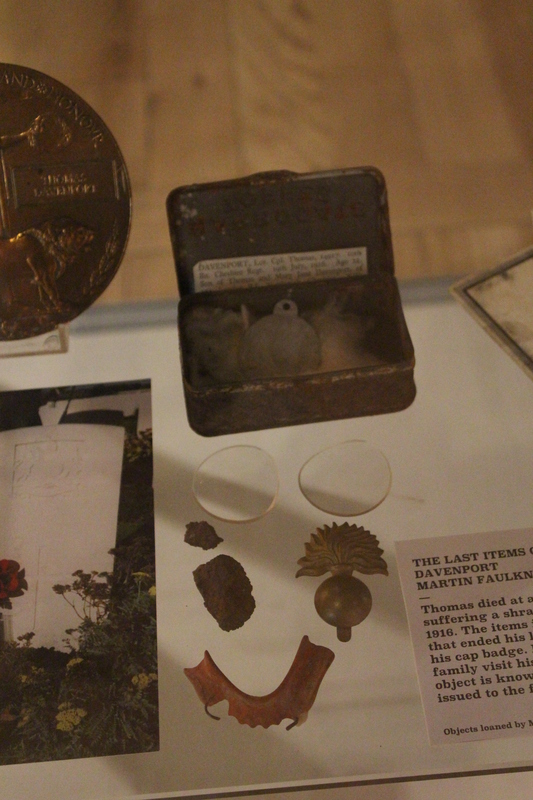 In the case are Thomas’ remaining items including the shrapnel that ended his life, his cap badge, his dentures and his spectacle lenses. These items were returned to his mother by the nurse who was with Thomas in his final hours. Like so many others he was wounded at the Somme in 1916; he later died in a military hospital behind the lines. Thomas was one of the hundreds of thousands of men to die at the Somme, yet to see and hear his story is to understand what one death meant to a whole family, who go and visit his grave in France every year. If you have a story or object about a family member involved in World War I in any way, be it conscientious objector, munitions worker or member of the armed forces and would like to see them in this exhibition then let us know. Please email exhibitions@phm.org.uk with details of the object, the story behind it in less than 50 words and we’ll select the most appropriate and put it in the case for a short period while the exhibition is up.